Home / Industries / Research and Development"
Researchers in this field conducts extensive monitoring and analysis for each research project with extreme detail and precision. Equipment such as Glass Reactor, Overhead Stirrer, Circulator, Oven, Hotplate Stirrer, etc. are used to assist in their laboratory analysis. 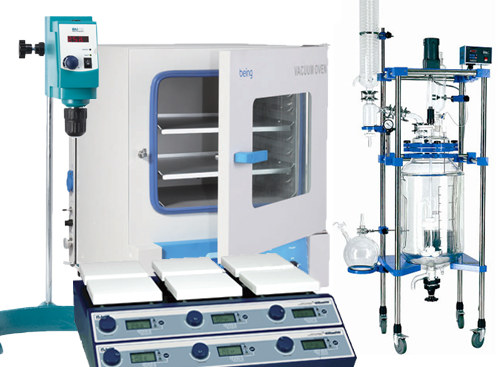 Chemicals are often used for testing and experimenting which includes Buffer Solutions, Ethanol, Methanol, Sodium Hydroxide, Ethyl Alcohol, Sulphuric Acid, Etc. Various consumer uses different chemical range for their testing. HCS do provide Technical/Industrial, Cosmetic, to HPLC grade chemicals. Note: Certain chemicals requires license & permit from NEA. In the events of lab testing, lab consumables are very typical in the laboratory. 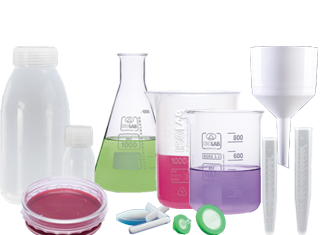 From Beakers, Flask, Bottles, Vials to Separating Funnels and Customizable Glassware. Different methods have different requirement such as low to high volumetric or a certain temperature range are needed for the tests. E.G: If a test requires >100°C temperature range and needs to be chemical resistance, Borosilicate 3.3 Glassware are able to withstand such standards. *Please note in the enquiry if you require certain customization of glassware and we will get back to you. 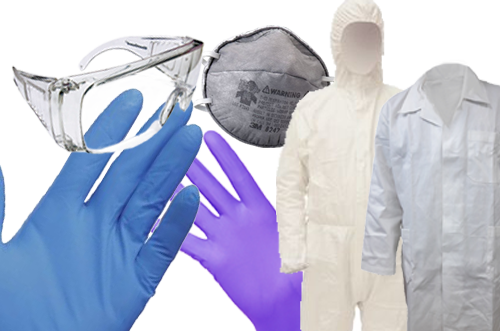 Lab coat, Gloves, and other protective gears are required in a laboratory to ensure safety of the researchers and to prevent contamination to the samples. HCS provides a wide variety of safety & protection products from Latex, and Nitrile Gloves to Customizable Lab Coat.